Sony's Paris Games Week showcase is going on right now, and as part of the conference, Sony revealed the first Call of Duty: WWII map pack. It's called The Resistance, and it launches for PS4 on January 30. As with Infinite Warfare and Black Ops III, all Call of Duty: WWII DLC launches for PS4 30 days ahead of Xbox One and PC, meaning those platforms will likely receive the expansion around the end of February or start of March. Three more map packs will follow after The Resistance, though no details about those have yet been revealed. In addition to The Resistance, the shooter will receive a bonus map, called Carentan, at launch. That's exclusive to holders of the season pass, which costs $50 in the US. 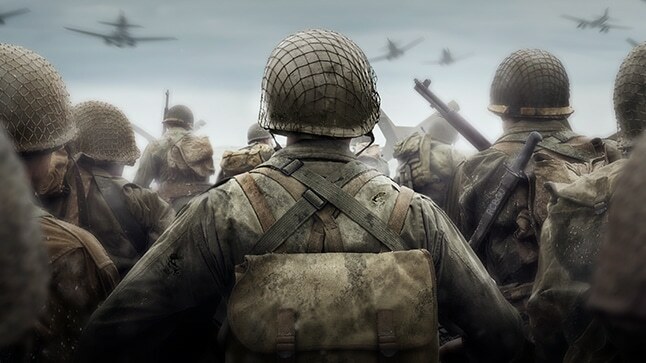 There's no word yet about whether or not Carentan will be made available to everyone, but Activision has stated that season pass content may be sold separately. Call of Duty: WWII launches for Xbox One, PS4, and PC on November 3. We were recently able to sit down with developer Sledgehammer Games' co-founder, Michael Condrey, and talked about the real-life inspirations of the game. You can read our full interview here.